Mega Sale! Free Shipping Included! 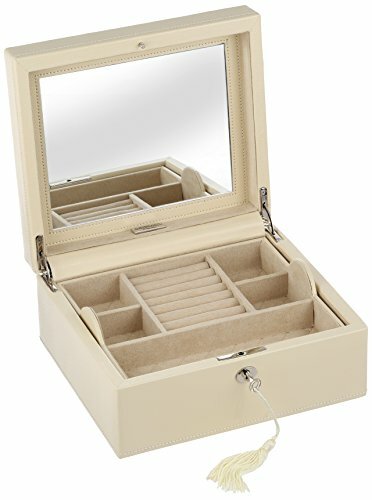 Save 25% on the WOLF 315253 London Square Jewelry Box, Cream by WOLF at Social Seeker. SKU: 315253. MPN: 315253. Hurry! Limited time offer. Offer valid only while supplies last. 315253 Color: Cream Features: -Pebble leather exterior with quilted tan LusterLoc treated interior. -Beveled lid and chrome key lock closure. View More In Cabinets & Cases. LusterLocTM: Allows the fabric lining the inside of your jewelry cases to absorb the hostile gases known to cause tarnishing. Under typical storage conditions, it can prevent tarnishing for up to 35 years.